Madeleine Albright, the secretary of state under former President Bill Clinton, formally apologized Tuesday to Republican Utah Sen. Mitt Romney for mocking his comments during a 2012 presidential debate about the threat posed by Russia. “I personally owe an apology to now Senator Romney, because I think that we underestimated what was going on in Russia,” Albright said during a House Permanent Select Committee on Intelligence. 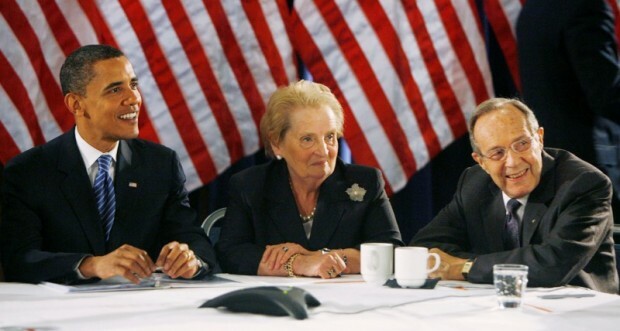 Albright acknowledged the U.S. intelligence community failed to recognize the growing threat posed by Russia and its president, Vladimir Putin. Government officials believe Putin personally directed a sprawling effort to meddle in the 2016 presidential campaign. Democrats dismissed Romney’s Russia comments during the 2012 campaign.